Boys and girls will be delighted with the South Shore Furniture Logik Twin Mates Bed in Sunny Pine. The sunny-pine finish is exquisite with any d�cor. 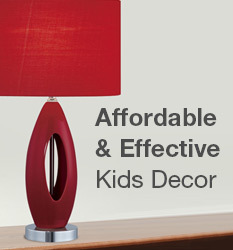 The contemporary design is simply adorable with soft rounded corners. Two large drawers with attractive antique finish handles open and close with ease and safety catches. They will hold an abundance of storage. If the children do not fill the drawers with toys, it's an excellent place for linens. This bed can be used with mattress only or also with a box spring. It is crafted of sturdy engineered wood. The bed is very cute. It was very easy to assemble and my 3 year old son absolutely loves it. It was a great choice for a first kids bed. The bed is adorable. We purchased the matching headboard first, and then decided to order the bed as well. It is good quality for the money, and was very easy for my husband to assemble. It is a perfect first bed for my 3 year old son and looks great in his room.